Two coalition personnel were killed and five were wounded in Syria by an improvised explosive device, Operation Inherent Resolve said in a statement. A U.S. defense official confirmed that one of the two coalition service members killed on Friday was an American. The American killed in the attack was identified as Master Sgt. Jonathan Dunbar, 36, from U.S. Army Special Operations Command. Dunbar joined the Army in 2005 and earned numerous award, including a bronze star and Army Commendation Medal. He served multiple tours in both Afghanistan and Iraq over the past 13 years. Dunbar was born in International Falls, Minnesota, and graduated from high school in Austin, Texas. He was currently stationed at Fort Bragg in North Carolina. In this picture taken on Thursday, March 29, 2018, U.S. troop's humvee passes vehicles of fighters from the U.S-backed Syrian Manbij Military Council on a road leading to the tense front line with Turkish-backed fighters, north of Manbij town, Syria. The other person killed was a member of the United Kingdom's armed forces, a spokesperson for the British Ministry of Defense said. The wounded received immediate care and were evacuated for additional treatment. 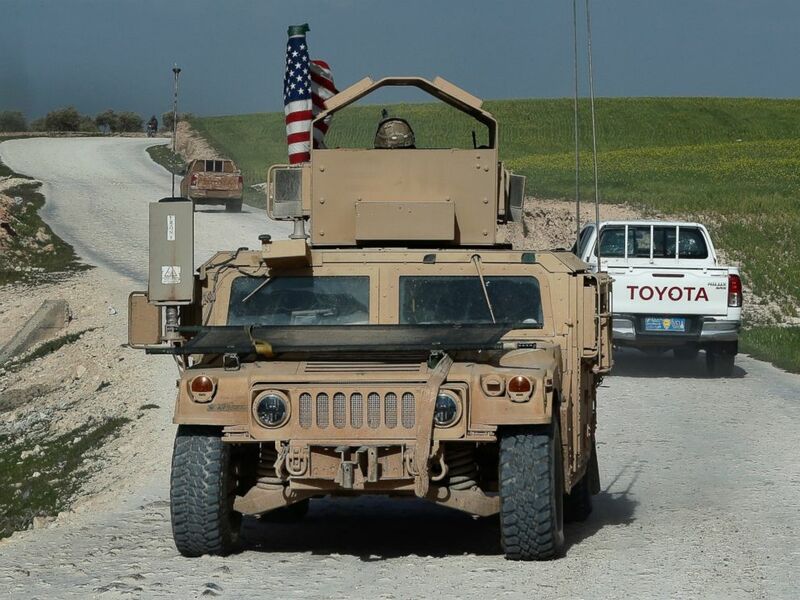 The incident occurred near Manbij, where the U.S. and its coalition partners have a small contingent of forces advising, training and assisting Syrian Democratic Forces in the fight against ISIS. The U.S. has approximately 2,000 troops inside Syria overall. Friday's death of a U.S. service member marks the first American killed in Syria this year and the second American combat-related death this year. On Jan. 1, Sgt. 1st Class Mihail Golin, 34, of Fort Lee, New Jersey, was killed after being engaged by enemy small arms fire while on a dismounted patrol in Nangarhar Province, Afghanistan. Earlier this month, the U.S. lost seven Airmen after their HH-60 Pave Hawk helicopter hit a power line and crashed near al Qaim in western Iraq.